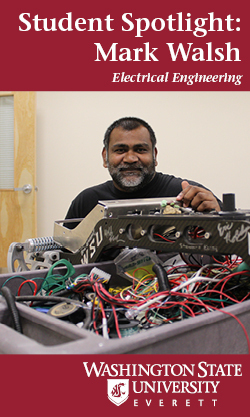 WSU’s Software Engineering degree program intends to provide the students with expertise on various topics relevant in the modern technology industry. We aim at preparing graduates for careers as Software Developer/Engineer, Project Manager, Requirement Engineer, Quality Assurance and more. Complete the official WSU transfer application. – Select “WSU Everett” as your campus and “Software Engineering” as your academic interest. There are scholarships available for WSU Everett Software Engineering students. No application is necessary for these departmental scholarships. If you are offered a spot in the program, eligibility for these scholarships will be determined based on transfer GPA in the major related courses. Students will be notified of their scholarship awards and conditions to receive the award. Software engineering skills are highly sought after in the technology industry. Software professions are among the occupations with the highest projected job growth for 2014 – ­2024. The state of Washington expects that in the near future there will be twice as many jobs for workers with bachelor’s degrees in Software Engineering (BSSE) as there are qualified candidates. Software engineers typically earn six-figure salaries.